Buying your first home can be quite daunting. It’s probably the most expensive purchase you’ll ever make and sometimes the process doesn’t always run smoothly. It can also be a very exciting time, especially if you’ve found your dream house or flat. There are lots of different things to juggle when buying a property and the house survey is just one of these factors. Once your offer has been accepted, it’ll be time to get a house survey carried out on the property. This is to check that the home you’re buying is worth what you’re paying for it. 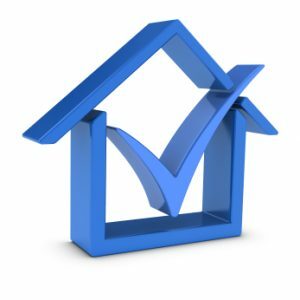 A house survey should also alert you to any potential problems with the building’s interior or exterior. A survey could save you a great deal of money in the long run, so it’s an important part of the home buying process. When choosing a house surveyor, make sure they are registered with the Royal Institute of Chartered Surveyors (RICS). This is the world’s leading professional body for qualifications and standards in land, property and construction. As a prospective buyer, you’ll need an official valuation of the property to secure your mortgage offer. A valuation report is normally carried out by your chosen lender and merely confirms to them that the property is worth the amount they’re loaning to you (at least). The valuation report is not an alternative to a survey, as it will not detail any problems with the property or any corrective work you may need to do. For conventional properties built within the last 150 years that are in a reasonable state – this survey might be sufficient. It will give you a good idea of the structural safety of the building and alert you to any issues – such as damp. It should also highlight things that don’t meet current regulations, such as old electrics. It will give you an independent and expert view on the condition of the house and its value. This is a more detailed survey than the homebuyer report and employs a more thorough level of investigation. It can be carried out for any property purchase, and is normally recommended for older or more dilapidated properties. Also, if it is a non-standard property or one which has been extensively altered – this type of survey could be a wise move. As with the homebuyer report, it will highlight any issues concerning the structure and condition of the property. It will typically cover all aspects of the property: the interior, exterior, services (i.e. gas, electrics and water) and the surrounding grounds. Some surveys will include photos of the problem areas, which is helpful if you’ve only seen the property a couple of times yourself. Some might also include the estimated costs of rectifying any problems – to help outline the seriousness and costliness of a certain issue. This full structural survey could be very useful if you’re planning to do extensive renovation work on the property.